Once a Houston destination for shopping, movies and visits with Santa, the site of Northwest Mall is poised for revival as a bullet train terminal, with local officials and train backers seeing dollar signs from the sales tax growth potential. 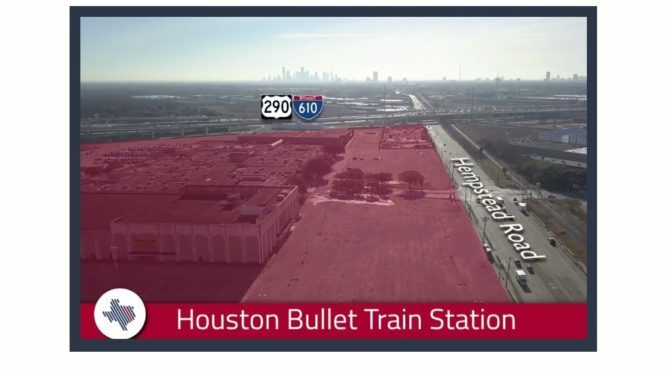 Texas Central Partners and Houston-area elected officials on Monday announced that the company, which is seeking federal approval for a 240-mile high-speed train line, has chosen the mall’s 45-acre tract near Loop 610 and U.S. 290 as its preferred site for the southern terminal. Mayor Sylvester Turner called the announcement further proof of a dramatic change in how — and where — people will travel in the Houston region. “We are moving to a new phase in this city,” Turner said at a Monday ceremony announcing the site selection and releasing renderings of the proposed station. 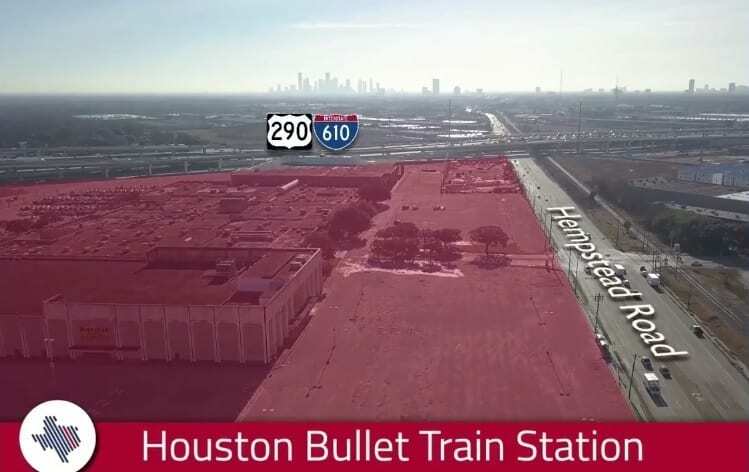 The station would alter mobility for miles around it, as Houston — with some yet-to-be-determined help from Texas Central — aims to connect the location to downtown, both Houston-area airports and other major job and entertainment centers. Last week, Texas Central Partners in junctions with Dallas city leaders, made a similar reveal of the Dallas terminus, to be located just south of the cities’ Downtown. The announcements come on the heels of a whirlwind round of contentious public hearings by the Federal Railroad Administration, where many residents shared concerns, complaints and a few praises about the project. Even with these large steps forward, the high speed rail line still faces major hurdles. But if completed, this project could be the catalyst for what Mayor Turner calls a “Transportation Reformation”, especially for the Houston region. 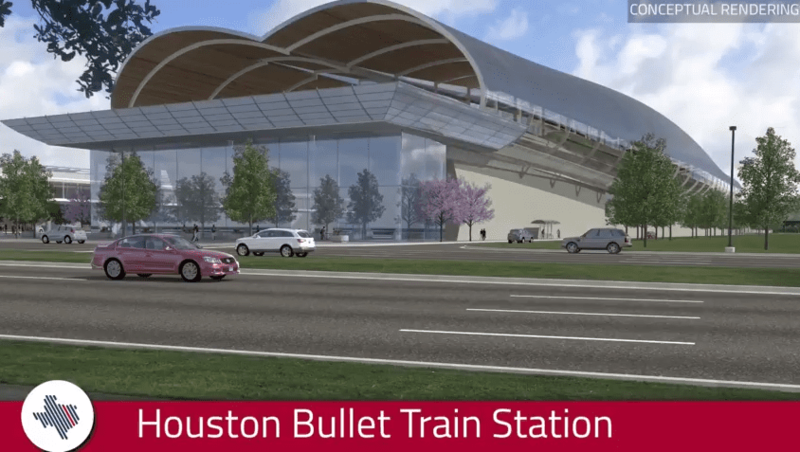 Though still a ways from reality, plans for local light rail projects which would connect downtown, the Galleria and to Houston’s airports have been accelerated. These associated projects could prove a major leap for Houston’s many complex transportation needs. 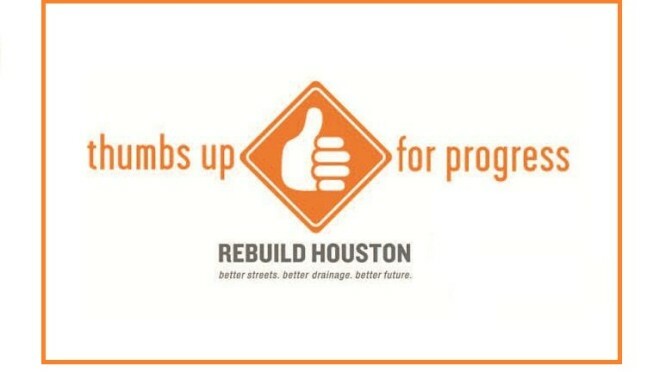 Of course, funding them would require some serious buy-in from Houston voters, so it remains to be seen. That’s the latest news. Off the Kuff has more excellent coverage. In a state as divided and gerrymandered as Texas, it’s easy to assume that many of the state and local elections to be held this November are just about decided after the Primaries. Districts are drawn to be so heavily Republican or Democratic, it is highly unlikely to see any sort of “surprise” happen on Election Day. 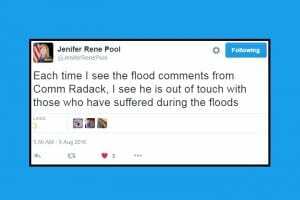 Even with candidate Jenifer Rene Pool‘s much celebrated and historic victory in the Primaries, the odds of defeating 6- term Republican Incumbent Steve Radack were always assumed to be long. HOUSTON – A video recorded on August 4 has upset some Houston residents, especially those affected by the widespread floods in 2015 and 2016. The short video clip shows Harris County Commissioner Steve Radack, of Precinct 3, giving a presentation. 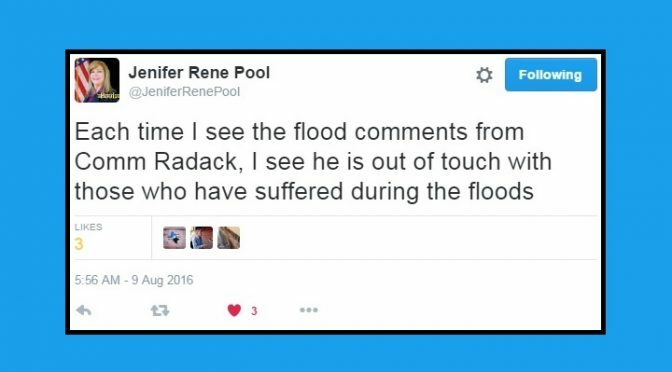 Someone in the audience recorded the video and posted it online, and now some flood victims are speaking out. For some livid Houstonians, “out of touch” is an understatement. As Off the Kuff rightly points out, Steve Radack not only has the advantage of incumbency on his side, but also has an insurmountable fundraising lead over Jenifer Pool. But of course anything could happen this November. Like a true Houston summer, this race is officially heating up. 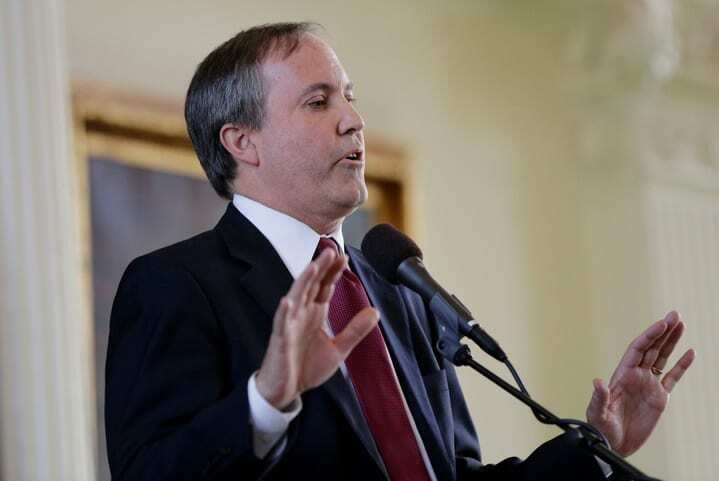 Could Texas Attorney General Face Indictment? One thing you can say for Texas… we sure like to stay in legal trouble. Whether it’s picking constant fights with the Obama Administration, being a thorn in the side of the EPA, or spawning lawsuits from severe funding cuts to public schools, the Republican-dominated state government cannot seem to stay out of court. 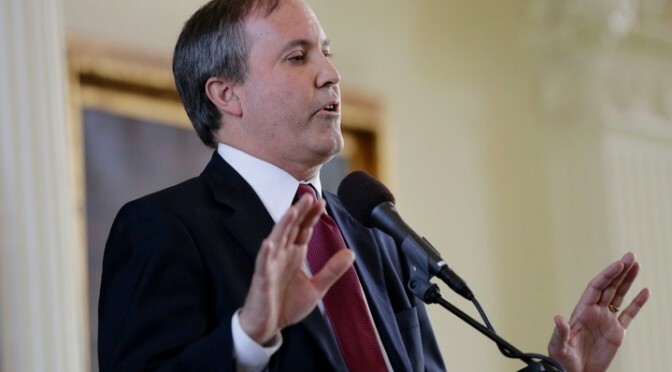 AUSTIN – A Collin County judge has expanded the probe into Attorney General Ken Paxton’s alleged securities violations, by widening the scope of possible offenses under investigation by two special prosecutors. By expanding the scope of Paxton’s possible offenses, it also increases the possibility that he will be formally indicted on charges in the coming weeks. Texans should be shocked at this. It’s an insult to the state that our Attorney General… the person responsible for defending the government in legal matters, has so little disregard for the law himself. An indictment could spell great difficulty for state legal affairs, as the Attorney General will almost surely face pressure to resign. We can’t have our state’s top cop not doing his or her job effectively because they themselves are the subject of a court case. WASHINGTON — One day before hundreds of thousands of undocumented immigrants were to begin applying for work permits and legal protection, administration officials on Tuesday postponed President Obama’s sweeping executive actions on immigration indefinitely, saying they had no choice but to comply with a federal judge’s last-minute order halting the programs. In a decision late Monday, Judge Andrew S. Hanen, of Federal District Court for the Southern District of Texas, in Brownsville, ruled in favor of Texas and 25 other states that had challenged Mr. Obama’s immigration actions. The judge said that the administration’s programs would impose major burdens on states, unleashing illegal immigration and straining state budgets, and that the administration had not followed required procedures for changing federal rules. Upon hearing news of Judge Hanen’s stay, Republican Congressional leaders across the country immediately championed the decision. You know… those same Republican Congressional leaders that continue to criticize President Obama for trying to do something sensible about Immigration, but won’t lift a finger in Congress to pass comprehensive reform themselves. If you’re thinking this whole situation screams of ultimate hypocrisy, you’d be correct. Same goes for Texas Governor Greg Abbott, whom referred to the Obama Administration’s plan as “Executive Amnesty”. As the Burnt Orange Report points out, it seems that the Governor would rather have Texas families torn apart than do something sensible. 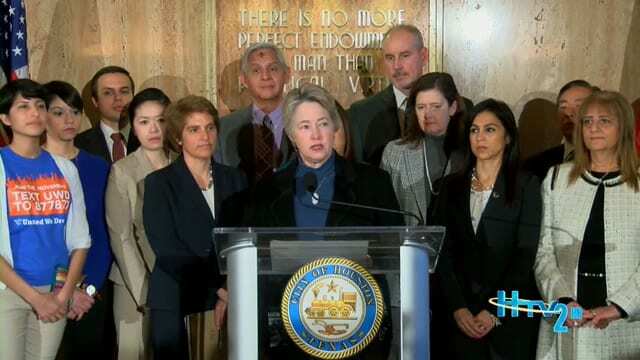 Houston Mayor Annise Parker today announced the launch of a new informational website for immigrants who are interested in applying for citizenship or deferred action. The new website is the product of a partnership between the City’s Department of Neighborhoods Office of International Communities (OIC) and the Houston Immigration Legal Services Collaborative (HILSC). The partnership was established last December in response to President Obama’s executive order on immigration. The website [www.citizenshipcorner.org] provides access to accurate, up-to-date information about applying for citizenship and new “deferred action” programs that offer the right to stay in the U.S. and work permits to eligible undocumented immigrants. The site will help people find trusted community organizations for legal guidance and assistance. DACA, or Deferred Action for Childhood Arrivals, is of course a program that was initiated by the Obama administration in 2012. Under the new plan, DACA is set to be expanded, so more people will be eligible for protection from deportation and a 3 year work permit. DAPA, or Deferred Action for Parents of Americans and Lawful Permanent Residents, is a new program that would grant the same work permits and protection from deportation to parents of American Citizens or DACA recipients. It’s important to note that despite the judges’ claims, the DACA program has been incredibly successful in its first two years. Over half a million work permits have already been granted, including some 88,000 for undocumented persons residing in Texas. Free from the looming threat of deportation, DACA has improved the lives of its beneficiaries, whom no longer have to seek illegal routes of doing business within the United States. The program of bringing more people out of the shadows is actually serving to make everyone safer. And by the way, the “cost burdens” that everyone talks about from Immigration Action? That’s false as well. Each DACA recipient had to pay a $465 fee for the work permit, which brought over $250 million in additional revenue to the U.S. government. That’s more money that can be used to actually make the country safer… not the other way around. 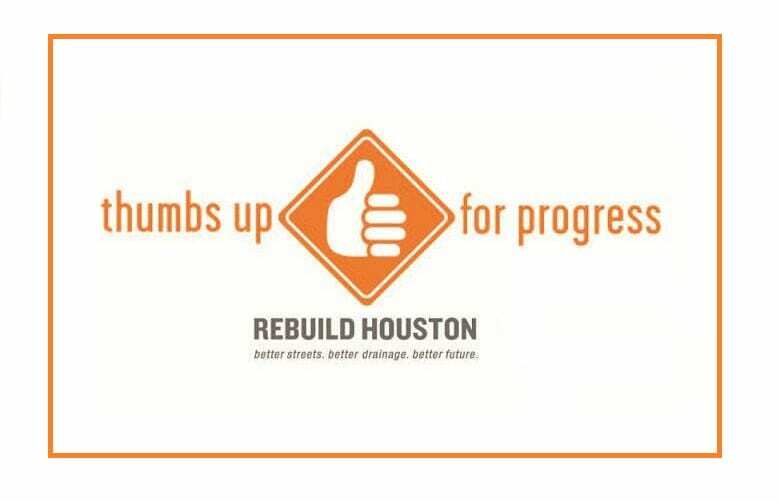 Thankfully, Houston sees the extreme benefit that these programs can provide to the region. So visit www.citizenshipcorner.org and to stay up to date on the developments, and help stop the spread of misinformation. Dos Centavos, Brains and Eggs and Off the Kuff have more on the judge’s injunction and basically unforgivable reactions from our esteemed GOP leaders. 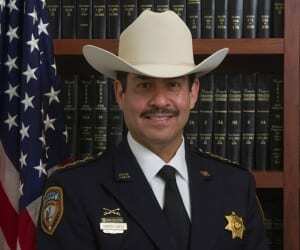 Harris County Sheriff Adrian Garcia is sending every possible message that he intends to run for mayor this year, aggressively increasing his political operations and signaling to some close advisers and backers that a campaign may be imminent. 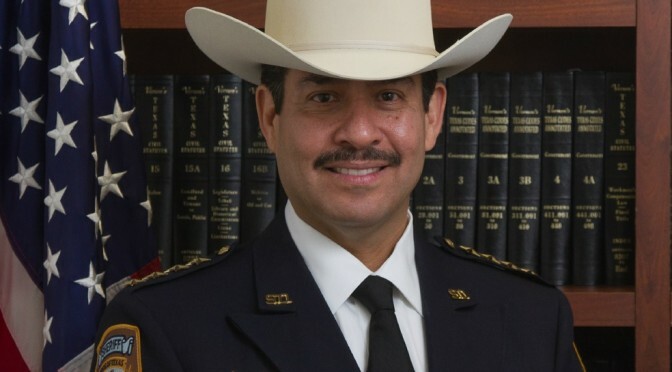 Garcia, under the Texas Constitution, would have to resign as a county official immediately upon declaring his candidacy. That presents Garcia, who watchers expect to immediately move to the field’s top tier if he joins the burgeoning mayoral fray, with a fateful decision: Does he step down as the county’s top Democratic officeholder to make a bid that would make him either Houston’s first Latino mayor, or politically unemployed? 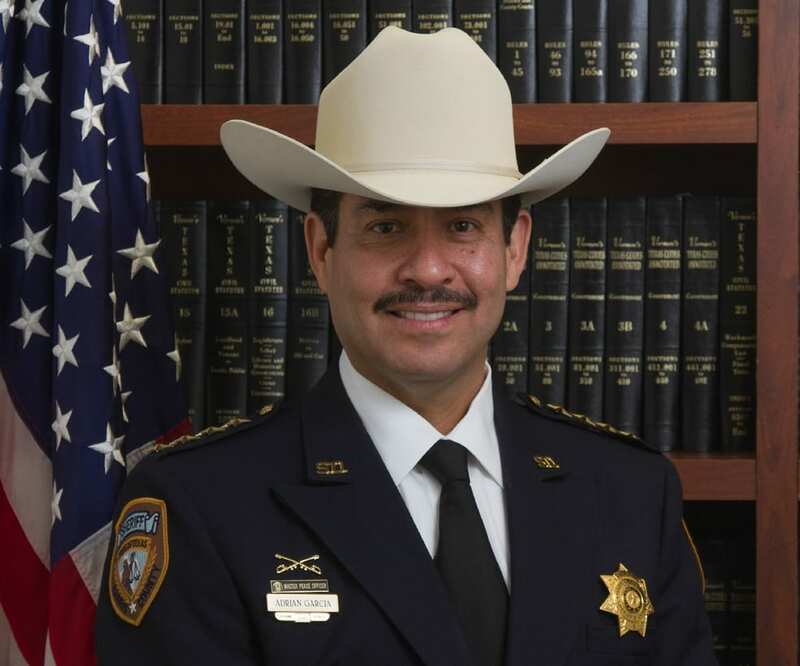 Perhaps most tellingly, county sources say, is that Garcia’s top staff at the Sheriff’s Office are looking to jump as they eye other county positions that would give them a landing place beyond Garcia’s tenure and vest them in the county’s pension system. Garcia’s top lieutenant and close friend, Armando Tello, left last month for a lower-profile post in Precinct 6, and other executive officers currently are scoping out other opportunities. Murillo is not in Garcia’s inner circle, but several of the sheriff’s other allies confirmed a bid is all but inevitable. 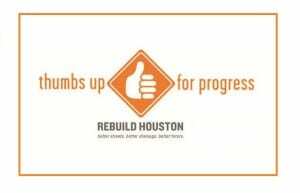 Sheriff Garcia joins a growing field of possible candidates… including State Representative Sylvester Turner, former Congressman and City Council member Chris Bell, current Council Members Stephen Costello, Jack Christie and Oliver Pennington, Ben Hall, Bill King and Orlando Sanchez. Crowded doesn’t even begin to tell the story here, but it’s important to note that some candidates have more potential than others. From the pillars of potential money and name ID, Garcia presumably sits in the upper echelon of contenders right out of the gate with Sylvester Turner. Though there is certainly nothing to stop Ben Hall from bank rolling his own massive campaign, as we basically saw from 2013. Side note… are there any women interested in running for Mayor? Any?? By far, a Garcia run will have the most immediate impact on local politics. As Dos Centavos points out, his resignation as County Sheriff could mean a substantial roll back of the Progressive policy agenda that has been actualized in recent years. Would a more Conservative Sheriff dismantle aggressive Mental Health reforms and LGBT protections in Harris County law enforcement? That remains to be seen. But those fears aside, there is no doubt that Garcia is a most worthy candidate to lead the city of Houston. Brains and Eggs, Off the Kuff and Texpatriate have more on this fast-moving development.